As many of us struggle with what to do or not with respect to social media in general, or whether to delete Facebook in particular, Tokyo Rose comes to mind. During WWII, radio was the medium which conveyed Tokyo Rose's message of disinformation. Radio was also the means of conveying messages of hope and support to those in occupied territories. In the case of Tokyo Rose, it wasn't the medium per se that would do the harm to the Allies, it was the message and the motive behind that message. And so it is with social media today. Motive matters. As we struggle with which medium to use or not, which to delete or not, why we chose a certain medium and what we want to say or share are important. When we acknowledge the why and the what, we can make informed as opposed to knee-jerk decisions. We can think mindfully about our choices and in doing so take back the control that technology has in many cases been designed to take from us. For some of us Facebook is the only practical means that we have found to keep in touch with our families overseas. And that's OK and not a need for constant mental self-flagellation. Like with radio, we can chose where we want to tune in and where to tune out. We can unfollow the people whose posts we no longer want to see and chose to have posts from friends and family first in our feed. Instead of a filter bubble determined by a profit-minded AI in an algorithm, we can create our own walled mental gardens of nature, music and puppies, or not. Both choices are valid for each of us. What is important is that we shine the light of independent thought into the darkness that social media can sometimes become. That we think and then we choose. At the start of #BioplasticsWeek 2018, the Plastics Industry Association Bioplastics Division on September 18 announced Danimer Scientific and PepsiCo as the joint winners of the 2018 Innovation in Bioplastics Award. 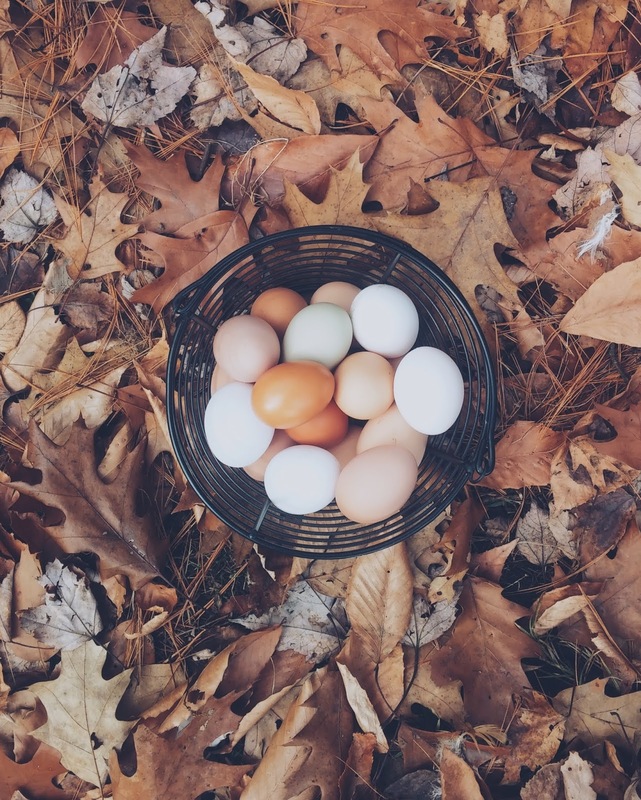 The two companies developed the next generation of bio-based and compostable flexible packaging using Danimer 24365B & Danimer 01112 Resins. This new industrial compostable snack bag is said to have the right balance of sustainability, performance and cost. 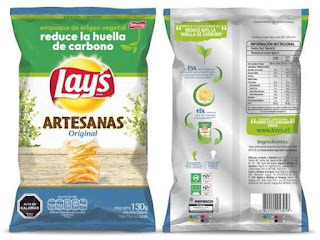 The industrial compostable snack bag is comparable in feel, noise and performance to PepsiCo’s current bags and certified to be industrially compostable by TUV Austria. The new Danimer resins that are blends of biopolymers and mineral filler give the bag its white exterior and can be processed in blown film lines for improved economics. The new bio-based structures are currently being piloted in a limited test in the US and Chile, with plans for a test in India later this year. 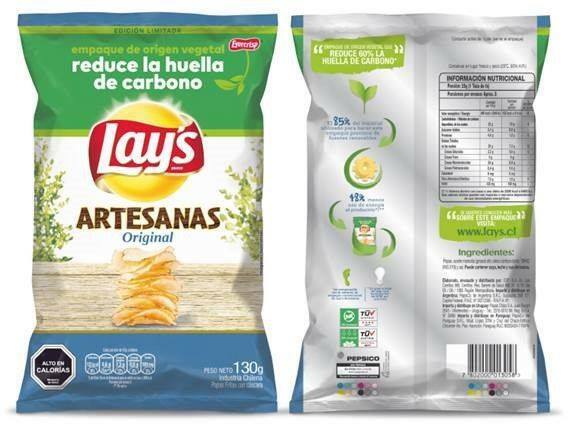 Danimer and PepsiCo are collaborating on a third-generation chip bag that is based on Danimer’s PHA technology and will be fully biodegradable in home-composting environments. The Innovation in Bioplastics Award is announced annually during PLASTICS’ Bioplastics Division’s Bioplastics Week. 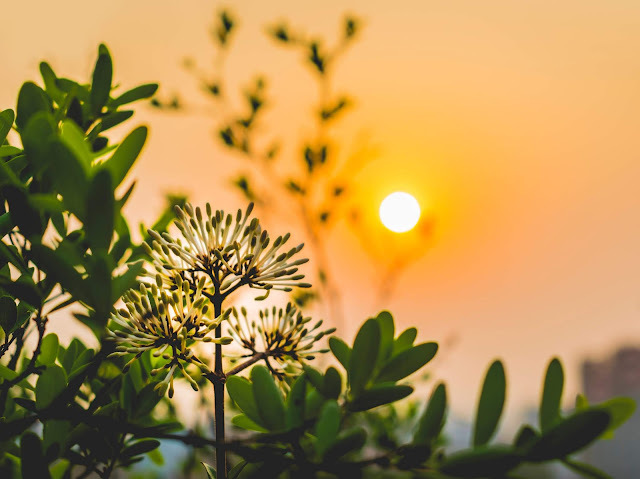 Bioplastics Week is a social media driven initiative created to increase bioplastics’ visibility and educate people about the many benefits they provide. Follow the conversation using #BioplasticsWeek. 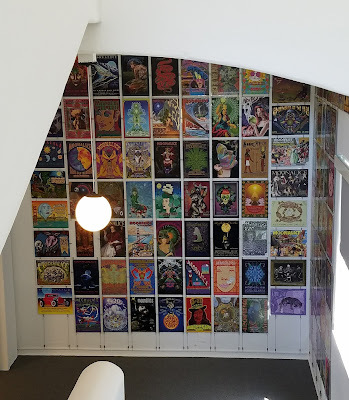 If you’re going to San Francisco - or if you’re lucky enough to live there - the Haight Street Art Center (HSAC), a first-of-its-kind poster print shop and gallery that supports a collective of poster artists, is a must visit. 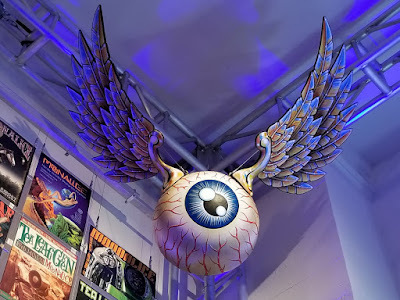 Dennis Larkins' incredible "Eyeconic" flies high above a wall of rock posters. With 7,000 square feet of gallery exhibition space, HSAC is one of the largest galleries devoted to poster art in the United States. In addition to the print shop, the Center features community engagement facilities, including a classroom for teaching poster art techniques, a special events space, and a large gallery. Permanent and temporary exhibitions will be free of charge to the public, and the Center and its artists will sell silkscreen and offset prints. Founded on a cooperative operational model, the HSAC features a state-of-the-art print shop to be managed by and for artists. The Center’s business model offers artists low overhead costs to improve the economics for creating and selling poster art. Exercising public art’s proven power to attract, inspire and connect, HSAC will serve not only the Lower Haight, but the city at large with educational programming for the San Francisco community: from students to seniors, apprentices to master artists, and the local residents to visitors. 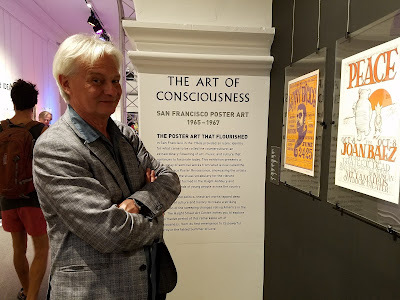 Mariusz Knorowski, Chief Curator at Poster Museum at Wilanów, Warsaw, Poland. The Haight Street Art Center (HSAC) is a 501(c)3 non-profit San Francisco arts collective established to promote poster art production and education. The Center’s community outreach relates to poster art history and cultural impact along with a deep commitment to extending San Francisco’s proud heritage of publicly accessible artwork—artwork created to celebrate, advocate, and connect people. 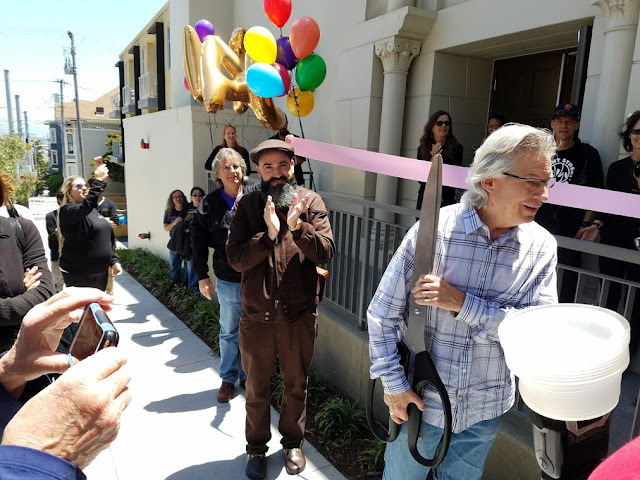 Left to Right: Roger McNamee, Jeremy Fish and Peter McQuaid at the Grand Opening of the HSAC. Festivities began at 1pm with a ribbon-cutting ceremony at the iconic Bronze Bunny, gatekeeper to San Francisco’s Lower Haight neighborhood. A series of galleries displayed 90 posters from the breakthrough years of 1965-67 in the opening exhibit entitled “The Art of Consciousness," while artists demonstrated the silk screen process, enabling visitors to walk out with a freshly inked poster. The “Big Five” of poster art, who made San Francisco the epicenter of the genre are well represented: Stanley Mouse, Wes Wilson, Alton Kelly, Victor Moscoso and Rick Griffin. 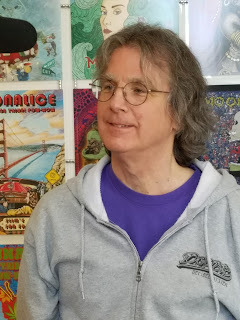 “The purpose of the art center is to invigorate poster art by providing a print shop and gallery that dramatically lowers the cost of creating and selling poster art,” said Roger McNamee, the Moonalice lead singer and guitarist with a passion for poster art. “It also provides a platform so that the artists can form and manage a collective for mutual benefit." 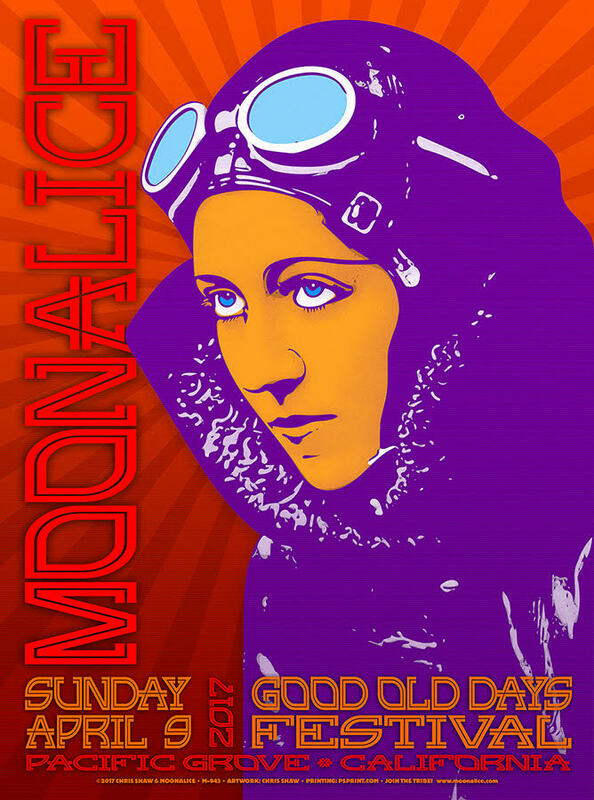 When Moonalice started in 2007 as a ’60s-style San Francisco psychedelic roots band, one of the founding precepts was a freshly produced poster for every show. 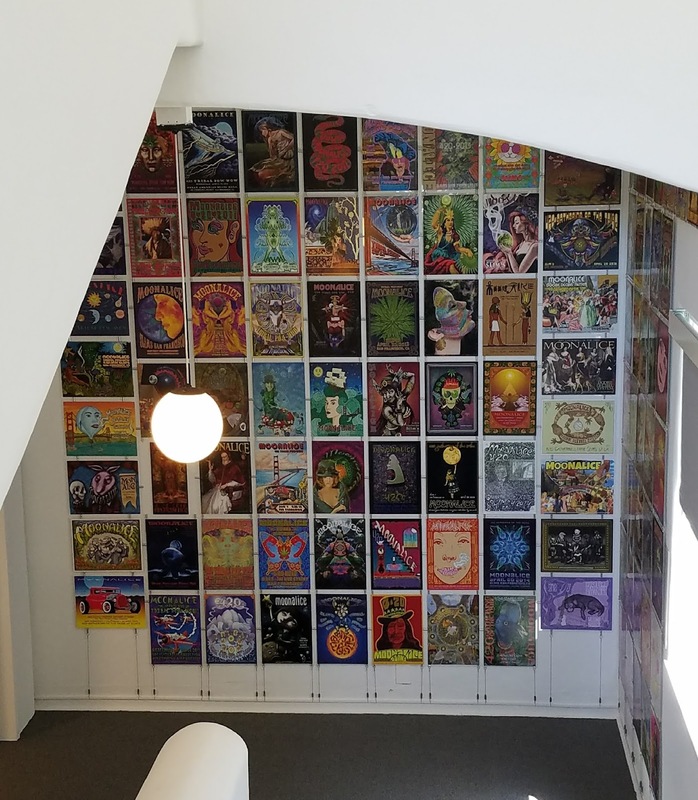 “We figured we’d play 30 or 40 shows a year,” said McNamee, adding, “And we’ve played 100 shows a year for 10 years.” There are now close to 1,000 Moonalice posters, many of which paper the walls as well as the stairwell between the floors at the art center. In the day of the Big Five, poster artists were paid around $500 for a poster plus a dozen copies. The promoter, or the band, got the copyright, which meant that if a design hit it big in the aftermarket, the income from all those concert posters sold in bookstores and record stores went to someone other than the artist. This is in stark contrast to the Moonalice business model, which is to pay the artist more up front, plus allow the artist keeps the copyright. 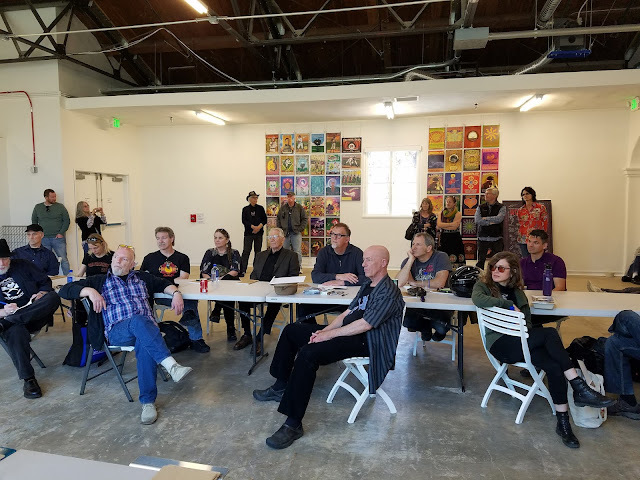 There are some 35 artists in the Moonalice stable, and they will be the first to benefit from the art center’s platform. The building is part of a Spanish Revival complex put up by the Works Progress Administration in 1934 as San Francisco State Teachers College. It sits on a huge lot, most of which has been developed into market-rate housing by Wood Partners. The art center includes the original San Francisco State entrance on the southeast corner of Haight and Buchanan streets, and occupies the down-slope annex, its mid-block entrance marked by the Bronze Bunny sculpture by Jeremy Fish. The entry is on the gallery level, with the print shop above it fully outfitted with scanners, printers and racks of paper. Developed in partnership with San Francisco Recreation and Parks by Illuminate, the nonprofit arts group behind The Bay Lights, and Obscura Digital, a world-renowned creative studio specializing in large scale light-based art, the installation will use gobo projectors to transform the all-white landmark with a series of exquisitely illuminated scenes inspired by the rare tropical flowers within, and the legacy of San Francisco’s flower children. “Obscura has done projections on iconic buildings around the world, and we’re thrilled to be using Golden Gate Park’s architectural crown jewel as our latest canvas, here in our hometown,” added Chris Lejeune, CEO of Obscura Digital. Davis and the Obscura team promise a nightly spectacle of spinning flower mandalas, animated butterflies, and much, much more. The free public installation will be on view nightly from sundown until midnight throughout the summer, June 21 through October 21, 2017. 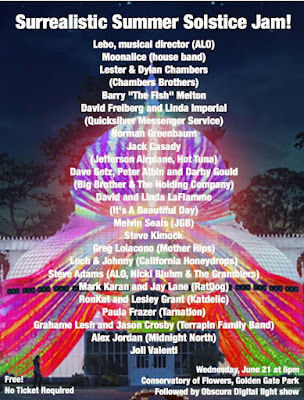 The opening night on 21 June – which coincides with the Summer Solstice – will include a musical celebration from members of the best jam bands San Francisco has to offer, featuring most of the surviving band members of the great bands of 1967. 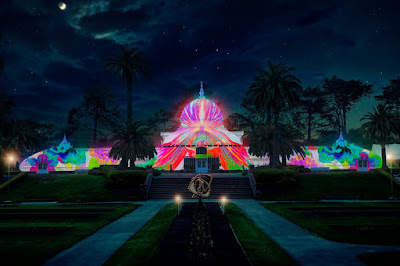 “The Surrealistic Summer Solstice Jam will combine the music of 1967 with an epic Illuminate and Obscura Digital light show on the Conservatory of Flowers! It will be the most monumental light show the city of San Francisco has ever seen! Dan Lebowitz is music director. 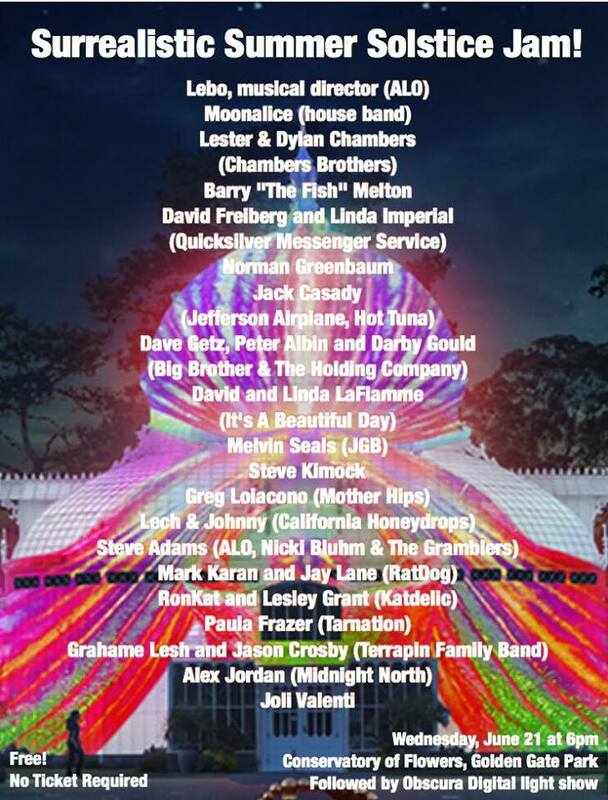 The house band will include members of ALO, Moonalice, and other great SF musicians. Jack Casady, Lester Chambers, David Freiberg, Linda Imperial, RonKat, Norman Greenbaum, Barry Melton, Steve Kimock, Dave Getz, Peter Albin, Darby Gould, Joli Valenti, Melvin Seals, Paula Frazer, Leslie Grant, Mark Karan, Jay Lane, Jason Crosby, Steve Adams, Grahame Lesh, Alex Jordan, Greg Loiacono, Lech & Johnny ... and many others are scheduled to perform. The concert and light show are free … no tickets are required, and it's the longest day of the year,” explained Moonalice’s Roger McNamee. There will be three free posters for those attending, by leading poster artists Alexandra Fisher, John Mavroudis and Darrin Brenner, members of the Haight Street Art Center collective. "We're really excited to be a part of this thing," Roger continued. "It's part of the on-going Summer of Love Festivals in San Francisco. We encourage you to attend or to watch the live stream, because it'll be fun!" How much fun? This video from the Surrealistic Superjam SF Summer Of Love 50th Anniversary Concert earlier this year gives a taste of musical treats to come on 21 June! Folks with mobility challenges are encouraged to either be dropped off or park near the Nancy Pelosi and Bowling Green corner - or - park in the Music Parking lot under the De Young Museum. Public transportation is HIGHLY recommended! The closest MUNI bus is 5 Fulton bus which runs until the event ends and beyond. You can catch the bus at Fulton Street and 6th Ave, and it is also the closest bus stop to the event. Parking will available at the Music Concourse Parking Lot as it will be open late until 11 pm to accommodate parking for the event. Cars can enter at Fulton Street and 10th or at Lincoln near the Academy of Science. Please note JFK Drive will be closed from 8th to Kezar Drive staring 5AM on Wednesday, June 21st, it will be one of the closest locations for parking. For maps how to enter – please go to: http://goldengateparking.com/. Cost is a flat $17. Why the broadcasts? “People couldn’t have cared less about Moonalice, so we had to use technology just to get off the ground. We figured out Twitter, Facebook, live streaming. It’s not that nobody had ever done it, but nobody had ever been dependent on it the way we were. Instead of a manager or publicist, we spent money on technology and social media. Technology was a lot cheaper and we have built a whole community was around this,” Roger elaborated. "The original decision to use HTML5 was economic: it was obvious from day one that native apps on iOS and Android would be more expensive and would leave us at the mercy of platform vendors who would never give us the time of day. The app market has been a train wreck for all but a few players, yet almost everyone still makes them," said Roger. Fast forward to today. "How time flies ... this week is the 6th anniversary of MoonTunesTM the HTML5 player that enables Moonalice to stream concerts live to PCs and smart phones,” Roger reminisced. “We have broadcast many hundreds of shows since then, including the Hardly Strictly Bluegrass Festival. 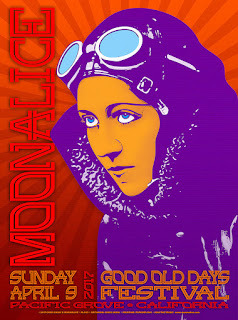 Weather-permitting, we will broadcast today's show from the Good Old Days Festival in Pacific Grove at 1pm PT in HD on http://www.moonalice.com." Moonalice was also the first band to broadcast all its shows via Facebook Live. Below is the first set from the band's show at Paciaifc Grove yesterday. The benefit of these live broadcasts on Facebook is not only that fans can make comments and communicate with each other during the broadcasts, but the reach is orders of magnitude higher than sharing via link or even an upload. How much larger? Moonalice's reach is regularly in the region of 300- 500K, which translates to a lot of very happy fans! "Thanks to our amazing Moonalice team, MoonTunesTM remains the highest performance and lowest cost streaming platform on earth. Thanks to our fans, it has an enthusiastic following. We're proud of it," Roger concluded. Any song. Anywhere. Anytime. 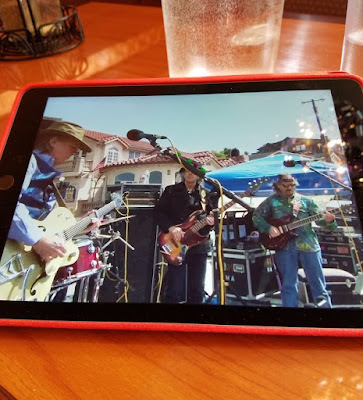 Yesterday I watched the three Moonalice sets from the Good Old Days Festival in Pacific Grove, from a park, on the Interstate, and from my favorite Indian restaurant. Rock on, Moonalice!